72,733 memories shared so far! Enjoy the community! 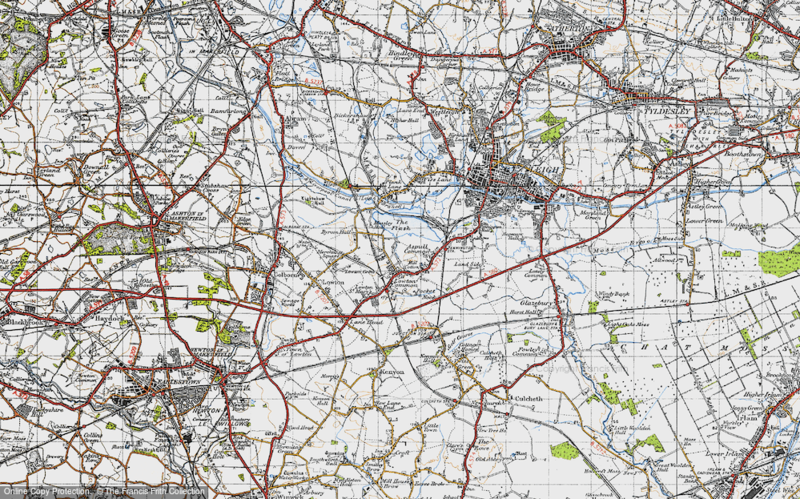 Buy this map of Aspull Common as a print, or have it mounted, framed or prepared on canvas. Surveyed during 1914-1948, and published 1945-1948. Scale is 1:50,000. The New Popular Edition captures the ever-changing landscape of Britain at a crucial time in its history. The inter-war years arguably saw the emergence of ‘modern’ Britain. The patterns of development and transport links these maps reveal are in many cases familiar to the contemporary eye. Much, however, was about to change, in particular the suburban encroachment into the countryside and the further expansion of the road network. The Popular Edition is a potent record of the Britain that was about to be traded for the motor car. 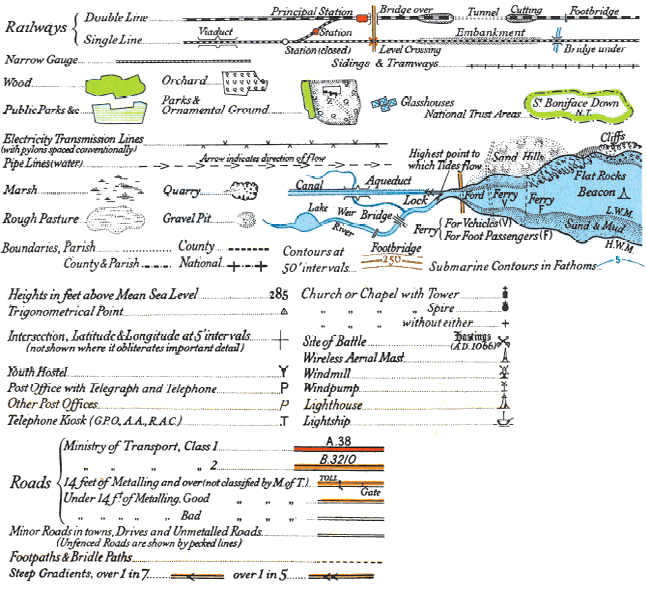 By an irony, it also provided the British with their first motoring maps. A sample from a 1:50,000 scale New Popular Series Map. The problem of surveying and recording Britain’s ever-changing landscape – one inhabited by over 50 million people by 1951 – had been exercising the minds of the government, the military and the Ordnance Survey ever since the completion of the Popular Edition in the late 1920s, although the cartographic ambitions of these parties did not always coincide. The Fifth Edition of the 1930s was the result of various experiments of projection, sheet lines and styling which ultimately proved unsuccessful and the project was abandoned in 1939 with only a small number of sheets having been produced. Its replacement, devised in 1938, but delayed by the war, was the New Popular Edition, which first went on sale in 1945. Initial publication was completed in 1947, but sheets covering south-east England, including London, were republished with road and other revisions (including bomb damage in the capital) between 1947 and 1950. The New Popular Edition was a mixture of Fifth Edition-style material in southern England and ‘old’ Popular Edition material elsewhere, with subsequent revision. It was eventually superseded by the Seventh Series between 1952 and 1961. The New Popular Edition was in many ways a departure from previous Ordnance Survey series. Although still produced at the one-inch scale, it included (as recommended by the Davidson Committee in 1938) a metric National Grid. It was also the first series to incorporate Scotland as well as England and Wales using a consistent numbering system (although the Scottish sheets were not published), and was the first to be produced in portrait rather than squared or landscape format, with sheets of 45km x 40km. The New Popular Edition was not produced from any one revision designed for the creation of the series and so is something of a hybrid: cartographically a stepping stone between the iconic Popular Edition of the 1920s, and the Seventh Series of the 1950s and the metric-scale 1:50,000 maps that followed from it. They provide a record of the country in the immediate aftermath of the Second World War and on the threshold of great social, economic and environmental change. Many rural areas were almost unchanged compared to how they appeared a century or more before, while many urban centres were industrialised, overcrowded and heavily bomb-damaged. Open countryside was still commonplace across the country as a whole, but was fast being eaten into by the suburban sprawl of large cities. The railway network remained intact, but Dr Beeching’s axe was only a decade or so away, as was the opening of Britain’s first motorway, the M1. Key for New Popular Edition Maps, as displayed on Folded Sheet Maps. These maps, produced just after the Second World War, show that travel by road was now the dominant method of transport. Ministry of Transport classifications were now specified for roads, which were now numbered. Note also the new of symbols describing with the equally recent proliferation of the telephone and the wireless. The New Popular Edition captures all this ‘raw material’ which planners and developers in subsequent decades were to use, for better or for worse, to create the Britain that we know today.